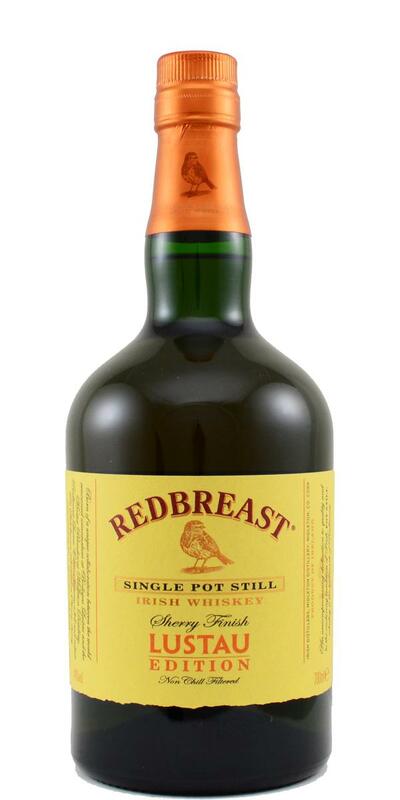 Another ageless redbreast? Yes why not? 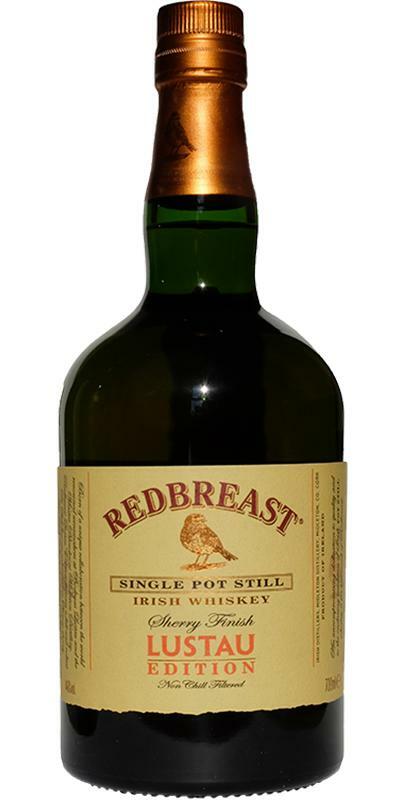 There were times when there were just two bottlings for Irish Single Pot Still aficionados: Green Spot and Redbreast 12. Fortunately, times have changed for the better and today there are countless different PLCs on the market. Redbreast 12 is still (despite its "only" 40%) the "light" in the SPS sky. The Cask Strength bottlings anyway. 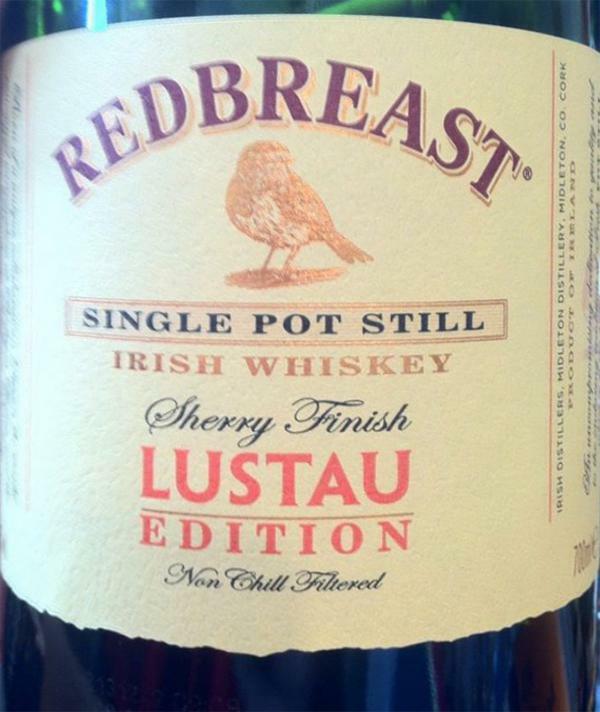 This redbreast with finish in the Lustau barrel is not a new fix star on the robin's skies, but it can definitely be seen in any case. Directly the smell of a full spice rack finds its way into the nose. You can not separate what's in there on this shelf, but it fits very well together. In addition, a fine sherry sweetness comes relatively quickly, which is not unusual for a Redbreast, but a little more subtle than the 12YO standard bottling appears. Maybe less intense. Dark berries mingle with the spices, figs and dates. Marzipan and nougat come with the time, then also fine oak aroma. Unexpectedly sweet start on the tongue. The spices from the nose are perceptible in the background, but the emphasis is clearly on the sherry sweetness from the Lustau barrel. The initial fears of a chewing gum note are not confirmed, which is probably due to the rather quickly occurring oak aroma. Over time, the sweetness comes to an end, the spices come forward, leather notes join, earthy notes can be found. Nice creamy mouthfeel. In the long finish sherry notes come again, but make room for oak, feinherbe spices & leather quite quickly. Pretty young but with a very dry sherry which stimulates the taste. The nose tends towards the red fruit, the cherry but rather candied, and the raisin. Other than wheat and cereals, it's a very classic Irish whiskey. In the mouth, it's much drier and I like it, with a background of grenadine and spices on the finish. Personally, I prefer it to 12 years is more original. Very tasty whiskey, an Irish with intense sherry, is doing very well, I think. Bought later. Sherry, sweet, subtle, but intense. Has a slightly sour and appetizing note. Raisins. Apples. Spicy, complex. caramel Very nice nose, pleasant, complex, because I can smell it for a long time. Direct sherry. Sweet, then intensively spicy. Mouth filling, well balanced. Then a slightly sour note. Nuts, some coffee. quite a long finish. It remains an oak flavor with a medium sweetness. In the aftertaste sherry notes with raisins and nuts come from the throat again. Delicious redbreast, they can do almost nothing wrong, Sherry goes well with it. a little more deg than the basic, more fruits in my opinion, but no real novelty, even almost flatter than his big brother! Something completely different Redbreast. Very good. Rich infusion of dark fruits; prunes ,dates, and figs with liquorice , and marzipan,toasted oak and spices. Long , endless. Sweetness and Pot still spices endure with oloroso-sherry ad Spanish oak have the last word. Lovely sweetness.